After a few weeks of painting the living room, dining room and kitchen during weekends and after work, we’ve finally (almost) finished!!! Knowing that the near future holds a major renovation for the dining room and kitchen, we decided we should figure out a way to update our dining room lighting on the cheap. The goal was to somehow get our brass chandelier to connect the living and dining rooms. And why not choose a bold color from the living room to be that connection? 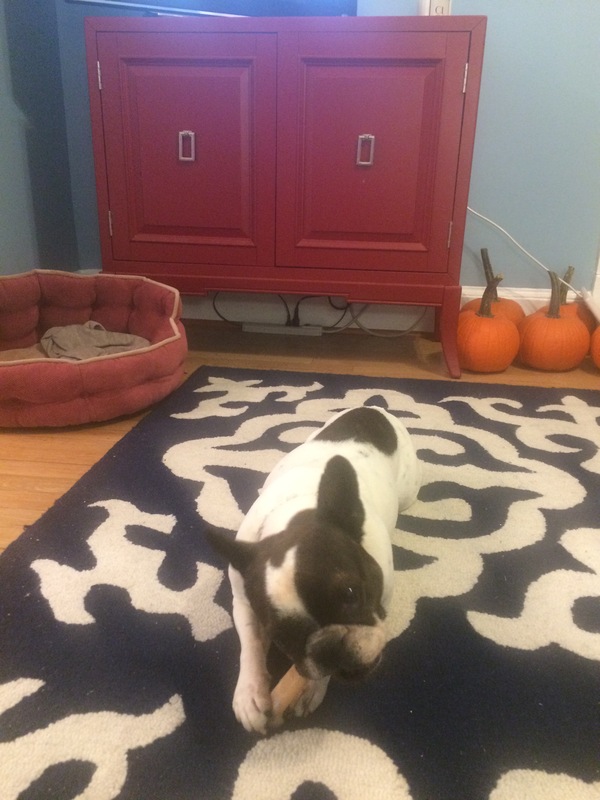 We decided to go with the color of our accent chest, since the pumpkins below are only sitting there temporarily. 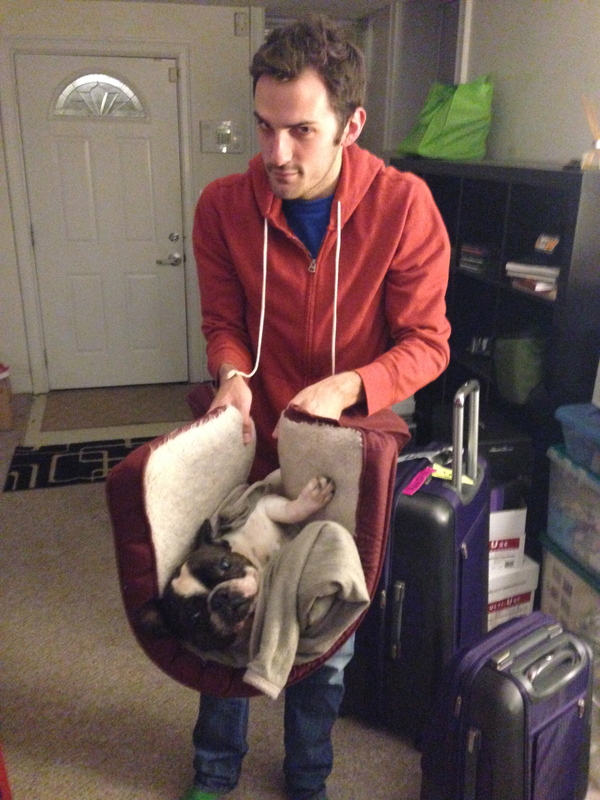 Well first…here’s Sophia almost getting packed while we were moving from the apartment. By the layout of the walls in our first floor, it is pretty clear that people didn’t like to be around each other in the early 20th century. There was no flow between the kitchen, living and dinning rooms. The opening between the living room and dining room is definitely not original and while that was a good attempt at opening up the first floor we knew there was a lot more potential. Just knocking down that wall has made a huge difference in the amount of light that shines through to the dining room. What’s scarier than a wall full of mirrors? 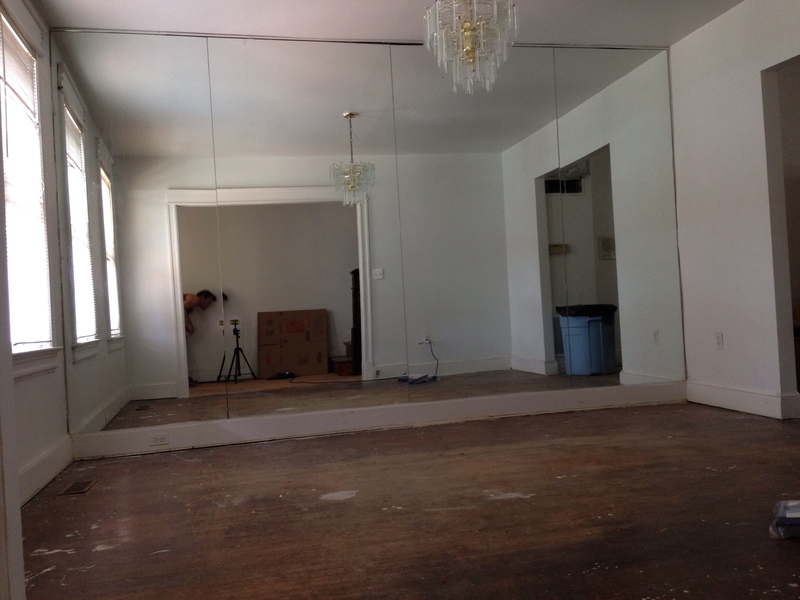 Our soon-to-be awesome living room had a 13 3/4 foot-long wall with floor-to-ceiling mirrors. Although they did make the room look larger, they pulled us back to an era before we were born. Chris and I understand that the process of making this house into our home will take some time. But, as any first-time homeowners, we have an ever-growing list of ideas and goals for the place. But to get started, we have to decide which room will serve what purpose – which walls will stay and which walls will go. Before we can start making major changes (other than the carpet, it had to go immediately), we have to know the exact space we’re working with. Luckily, I’ve always wanted to create a floor plan! Before we even knew whether or not we were getting this house, I was surfing the web looking for an app that would allow me to do that. 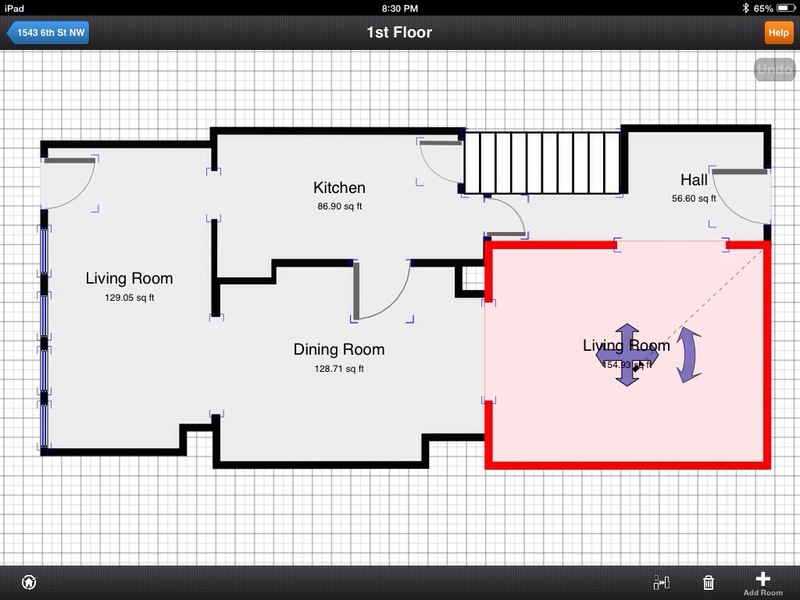 I ended up using Magic Plan for iPad, mostly because it’s free and appeared in a couple of my searches. Mapping the house was a little time consuming, but it was definitely worth it. I would draw the shape of the room, and then Chris would help by measuring each wall, window, door, space between windows, space between doors and walls, etc. 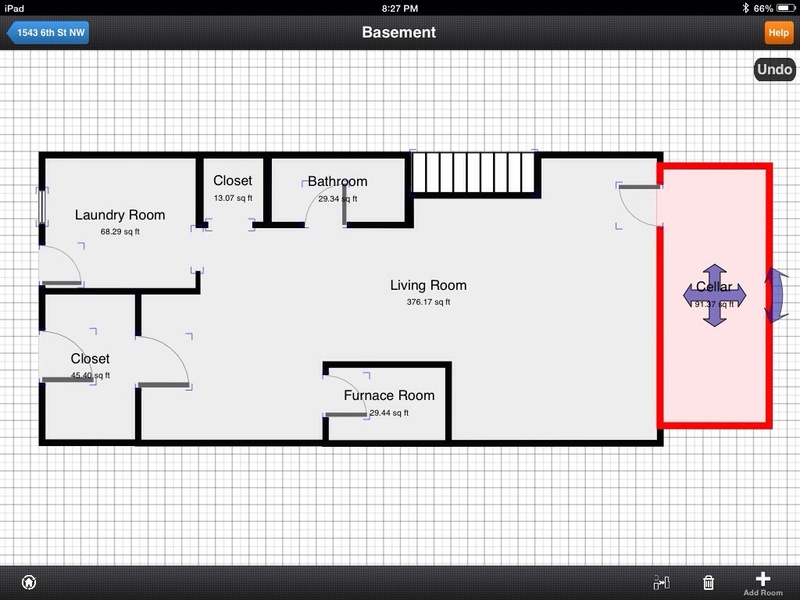 I’m sure we’ll have to tweak a few measurements, and I have not added appliances nor kitchen cabinets…but here’s what we’ve got so far, and it’s proven to be super helpful.